During a Senate Armed Services Committee hearing with Secretary of Defense Chuck Hagel and General Martin Dempsey today, U.S. 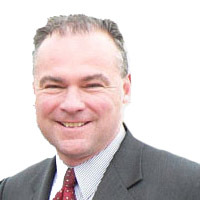 Senator Tim Kaine reiterated his call for Congress to debate and vote on an authorization for use of U.S. military force against ISIL. “Within the last two weeks, the Director of National Counterterrorism Center Matthew Olsen said, “At this point, there is no federal information that ISIL is planning to attack the United States.” I understood the President’s comments last week and other comments this weekend that ISIL is a significant threat, a serious threat, a growing threat. But, in terms of an imminent threat to attack the United States that would trigger the Article 2 defense powers, it does not seem to exist at this point. “Could a lawyer make a broad argument, a really creative argument, that the open AUMF covered ISIL? I suppose. I’m a lawyer; I’ve made creative arguments. But this President spoke at the National Defense University in May of 2013, and he argued against broadening the open-ended  AUMF. And he said instead what we should be doing as a nation. And what he was committed to was not broadening the open AUMF but trying to refine it, narrow it, and ultimately repeal it. I don’t know why we would take an open-ended AUMF and try to broaden it further when the President has made a commitment to keep it narrowed and refined. “ I think [the President’s] mission that’s described is reasonable. But I think Congress is necessary, and the President last week, and you today said, ‘obviously, we would welcome Congress because we’re stronger if we do it together, not just as an institution.’ We’re stronger with the support we provide to the men and women that we ask to bear the risk of battle. If we ask them to bear the risk of battle in a war, that may take a number of years that will have aspects that we can’t currently predict. Some will be hurt; some will lose their lives; some will see bad things happen to their comrades in arms. If we’re going to ask them to risk that, then we should do our job to bless the mission and say that it’s worth it. And if we’re not willing to do our job as Congress—to bless the mission and say that it’s worth it—we shouldn’t ask people to risk everything.